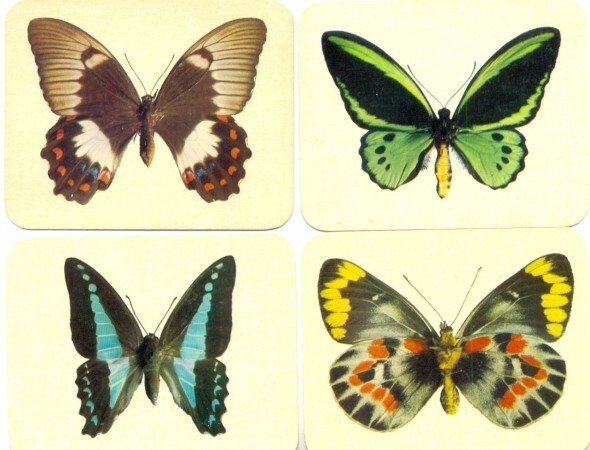 I have recently started Australian Butterfly Conservation and am wanting to get hold of a (good condition) book and complete set of Nabisco 1960/5 Butterflies of Australia Card Set of 30 (edition 13). If there is anything you can do to help I would be very grateful. I am prepared to pay the going rates for them. If you can assist please put details in the comments box below. 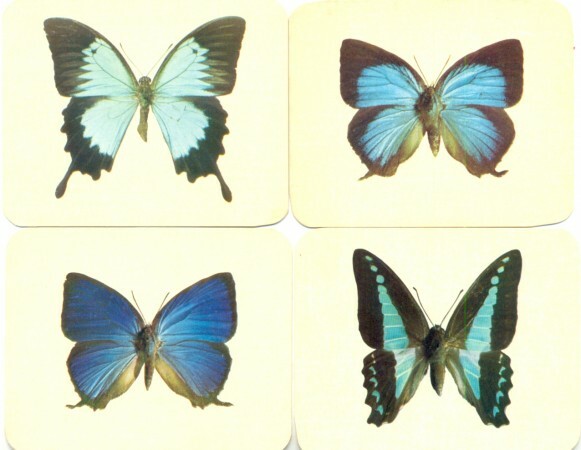 Four blue butterflies, swap cards, ‘Butterflies of Australia’, issued by Nabisco. Collection of IS.